Just got an iPad? Download these apps first. So you’ve just (carefully) torn open the wrapping of a brand new iPad. You’ve hooked it up to iTunes for its initial sync, but now what? Which apps should you download first? Here are some essentials to get you started. 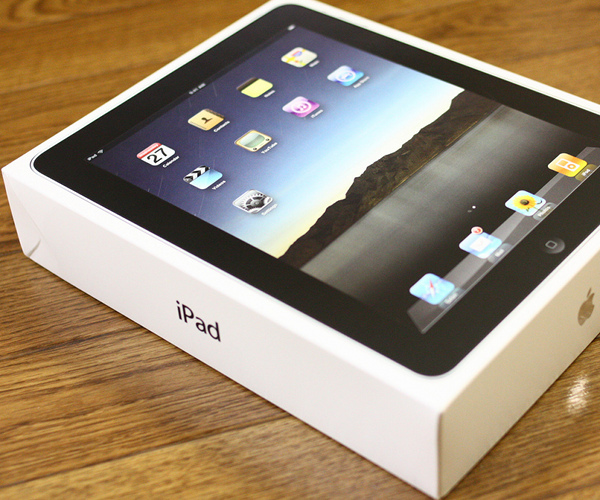 Twitter for iPad – Where better to start with Twitter on your new tablet than with the official app? For most people it will do everything they need – multiple accounts, an in-app browser for viewing links and an interface that (after a couple of minutes’ getting used to its sliding ‘drawers’) is a joy to use. Friendly Plus – Facebook still hasn’t graced the iPad with an official app. 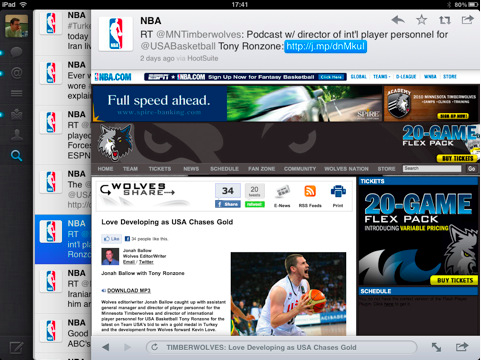 You can use the iPhone app but for an experience optimised for the iPad screen this is a much better choice. Friendly supports the news feed, Events, Places, Photos and Chat. It even allows you to swap between multiple accounts if you’re sharing your iPad with others. Flipboard – One of the most talked-about iPad apps this year, Flipboard formats the links your friends share on Twitter and Facebook into a beautiful magazine. Recently upgraded to support Google Reader and Flickr, it’s the perfect way of casually browsing your online social world. IM+ – If you love instant messaging, a good IM client is a must and IM+, with support for Gtalk, Yahoo, MSN/Live Messenger, AIM/iChat, ICQ, Myspace, Twitter, Facebook, Jabber and Skype in one app. Coupled with its ability to run in the background while you do other things, this is the perfect choice for IM fiends. BlogPress – If you have your own blog, BlogPress is great way of publishing from your iPad. Supporting all well-known blog platforms, the app really does make it easy to share your thoughts, images and videos from Apple’s tablet. iBooks – Surprisingly, Apple’s own bookstore doesn’t come bundled with the iPad, it’s a separate download from the App Store. However, If you’re an avid, or even casual, reader it’s worth getting. While many current bestsellers tend to be priced rather high considering the lack of physical media, there are lots of free classics to download and the app itself is as beautifully presented as you would expect for an Apple product. 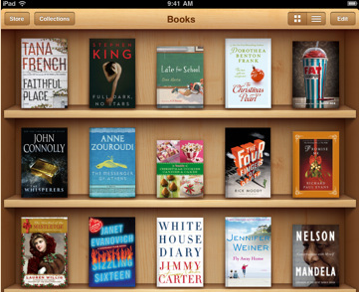 Kindle – Why download Amazon’s Kindle app if you have iBooks? While the Kindle app may lack some of the graphical polish of Apple’s e-reader (no page-turning animations here), Amazon offers a number of advantages. Firstly, if you read Kindle books elsewhere, either on a dedicated device or mobile phone, your library and bookmarks are stored across all devices. This means you can read a few pages on your iPad and then hop across to, say, an Android phone and pick up exactly where you left off. You’ll often find books priced at slightly lower prices than their iBooks counterparts, too. Tune-In Radio – This beautifully thought-out app is practically a love letter to radio in iOS code. A huge library of stations is coupled with the ability to concentrate just on stations local to you, meaning you’ll never be stuck for something to listen to. If you’re worried about missing your favourite show, the app can be set to record for later listening. VLC Media Player – Apple is pretty restrictive about the video formats it will let you play. Officially, only m4v, .mp4, and .mov files can be played on the device. VLC opens your iPad up to a wide range of other formats. It’s really easy to get your files on board, so you’ll be watching them on your shiny new tablet in no time. Happy viewing! Pages, Numbers and Keynote – The iPad isn’t the ideal device for creating and editing documents, spreadsheets and presentations but if you’re determined to give it a go, Apple’s own three apps are the best place to start. For tablet based tools they’re not as cut-down as you might expect but expect occasional formatting inconsistencies when you move documents back to a desktop app. As an alternative, Google Docs now supports creating and editing spreadsheets and documents in the iPad’s browser, and for free. Dropbox – When it comes to getting files on and off your iPad there are a number of options and Dropbox is one of the easiest. Simply drag a file from your desktop into your Dropbox folder on your computer and seconds later it’s available on your iPad. Photos, videos and documents are all viewable within the app and you can pass media to and from the iPad’s own gallery. Evernote – The busier you are, the more organised you need to be. Evernote is a really good way of keeping the memos, notes, photos and documents you need all in one place that you can access anywhere. The iPad’s large screen works well for browsing and editing notes, and you can even browse location-tagged notes on a map. 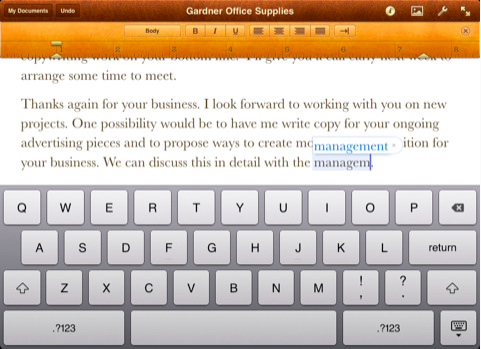 Goodreader for iPad – If you find yourself working with PDFs regularly, Goodreader could be just what you’re after. It allows you to mark up documents with handwritten (or perhaps finger-written in this case) notes. Documents can be transferred to and from the iPad via USB or WiFi and integration with Google Docs and MobileMe among other services is built in. LogMeIn Ignition – As useful as the iPad is, sometimes only your ‘proper computer’ will do. So, why not control you computer from your iPad? LogMeIn Ingnition displays your computer desktop on your iPad, allowing you to create, view and edit documents and do just about anything you could if you really were sat at it. At £17.99, it’s not cheap but if you need the functionality it’s worth the money. 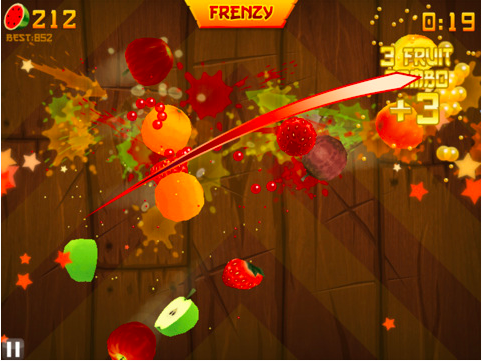 Fruit Ninja HD – Beware: install this game and you’ll find yourself immersed in a hypnotic daze as you slash endless pieces of fruit, trying to rack up a new high score. Three modes; Classic, Arcade and Zen, provide enough variety to keep you interested and multiplayer games can be played online or by two players on the same iPad. Angry Birds HD – It’s taken the world by storm this year and Angry Birds for iPad is just as good as on any other platform. The extra screen space provides a little more room to perfect your aim as you skillfully (or not) attack those evil pigs with waves of agitated avians. Flight Control HD – Another game to make the leap from the iPhone to Apple’s tablet, Flight Control HD sees you guiding planes into land with your finger. With multiple planes, helicopters, runways and helipads, it all gets very frantic very quickly. With a larger screen and higher resolution than the iPad version, there’s a lot more to keep your eye on here. It can be frustrating, but you’ll probably find yourself coming back for ‘Just one more go’. Scrabble for iPad – If you and your friends have two or more iPhones amongst you, Scrabble for iPad is a novel experience. With the iPad as your gameboard, the iPhones become your tile racks and you can ‘fling’ letters onto the board when it’s your turn to create a word. You can still play with just the iPad, but the wireless iPhone linkup makes this a digital take on the traditional family boardgame. Real Racing HD – One of the first games to land on the iPad that really showed its potential as an advanced gaming platform, Real Racing HD sports impressively smooth and detailed 3D graphics and a ‘Turn your iPad to steer’ control system. With all that physical steering movement, you probably wouldn’t want to get involved in a game while out in public but it’s an exhilarating ride for sure. Honorable mentions go to Calculator HD for iPad and Weather HD, both of which do a good job of filling in for the calculator and weather apps that Apple puzzlingly left off the iPad. Any more suggestions for essential first downloads? Leave a comment and let us know. Read next: Just got an Android device? Download these apps first.